Half Dome, the iconic slab of granite in Yosemite Nationa Park that you know from your pre-loaded Mac desktop screensaver. It is one of the most easily recognizable things in all of California, up there with even the Golden Gate Bridge. If you haven’t seen it in real life then be sure to add it to your list; however, if you have seen it, then consider seeing it from another viewpoint, like the ten options below. All of which provide a different angle for the famous rock. Be sure to let me know in the comments if I left off a view you love as well. 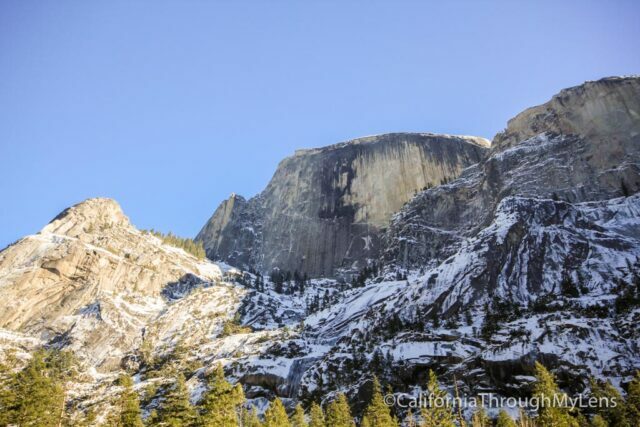 The first viewpoint is from Mirror Lake, a short hike in the Yosemite Valley. This view lets you look up at the face of Half Dome from below. It is one of the most unique views as you have a really low vantage point which makes the rock very prominent. 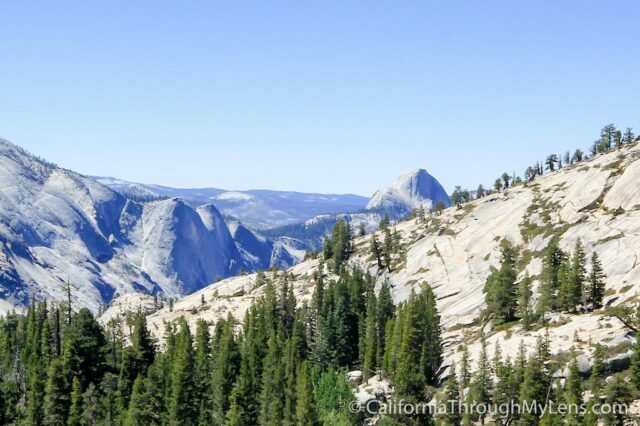 The most famous viewpoint and the most unobstructed, as you are practically right across from Half Dome itself. The valley that is between you provides a great foreground for photos as it is incredibly beautiful and very vast. This is the best spot for stargazing as you can see the outline of Half Dome below the stars. 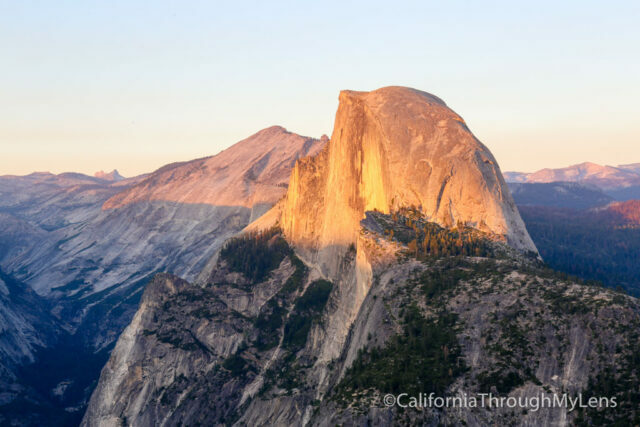 It is also a really popular sunset spot where you can get great photos of the last light on top of Half Dome. 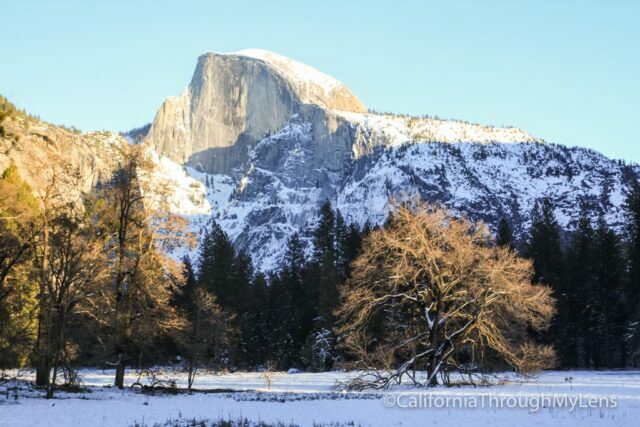 Only a mile from Glacier Point, Washburn Point provides beautiful and different views of Half Dome. While Glacier Point is more straight on, Washburn Point is a little more to the side so the dome is not as defined as you would expect it to be. This is one of my favorite viewpoints as I love the way Half Dome looks with the old tree in the foreground. For added awesomeness, go to this spot when there is snow. The snow adds a lot to the view, especially at sunset. 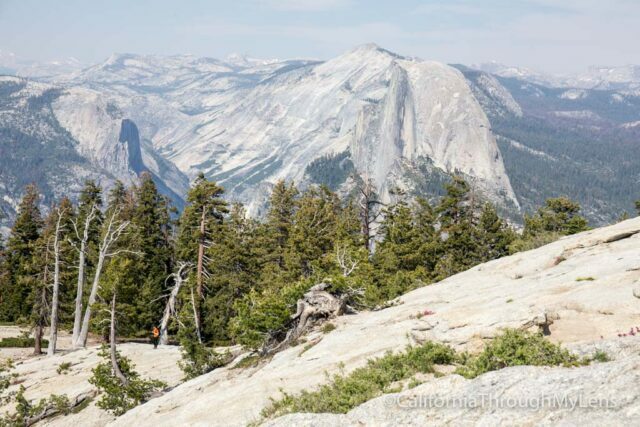 One of the less popular hikes in the park, this 2-mile loop on Glacier Point Road provides a similar view of Half Dome as Glacier Point, but from higher up. The top of this dome is almost at the same height at Half Dome so it is pretty epic. 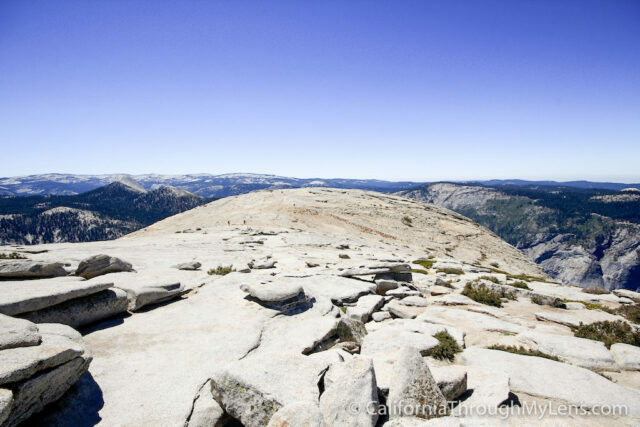 When driving Tioga Pass in the summer, be sure to stop at Olmstead Point as you can get a great view of Half Dome from the backside. I love this view as it gives you an appreciation for how epic the climb is up the backside if you haven’t done it. Of course of the of the best views of Half Dome requires a lot of work, such as hiking to the upper part of the sub dome. 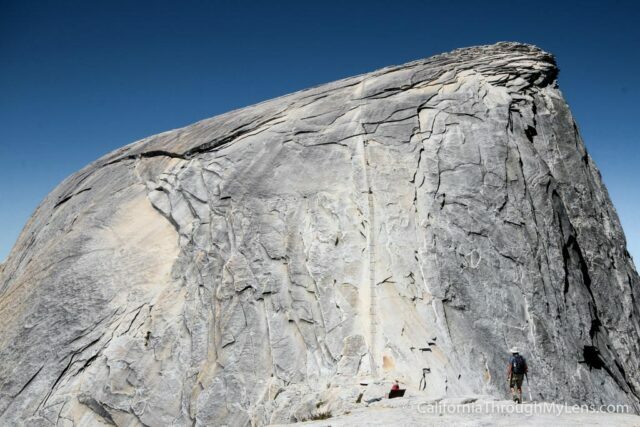 The sub dome gives you a close up view of the backside of Half Dome and the infamous cables that allow you to climb it. The above photo is one of my personal favorites as the view is just ridiculous. If you want to see all of the different characteristics of this unique rock, then you need to get on top of it and look over the edge. Half Dome is a lot bigger on the top than you would anticipate and it is crazy to stand upon it and look out over the valley. This is one of the main views that everyone sees when they enter Yosemite from the South. 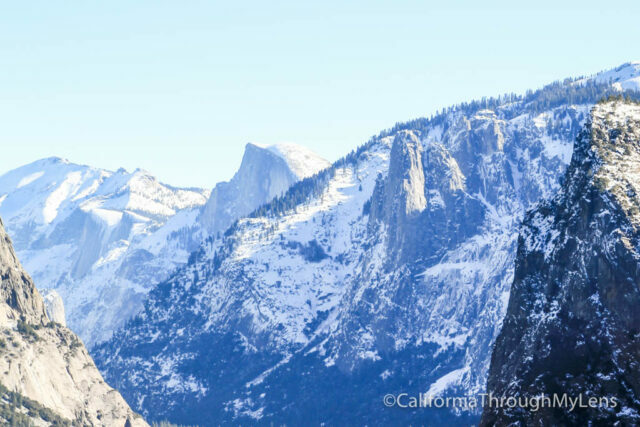 It is fantastic and a personal favorite of mine as you get to see the valley with El Capitan and Bridalveil Falls in front of you and Half Dome in the back. I will never forget the first time I saw this view as a kid. 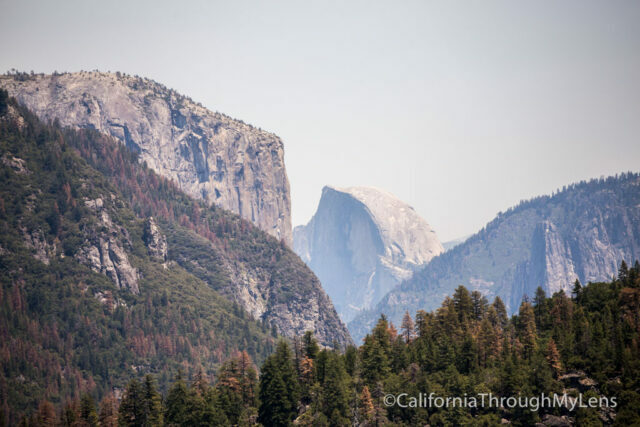 If you are driving in from the North, then you do not have a point of view like Tunnel View, but the viewpoint near Foresta on Highway 120 is a great spot to stop and marvel at the iconic dome peaking its head out over the top of the mountains. 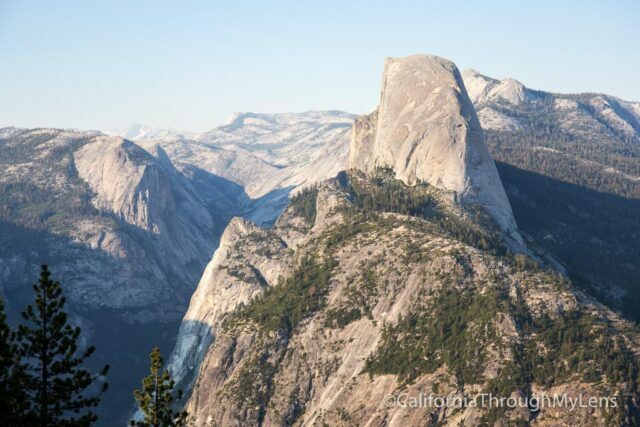 So there you have it, my ten recommendations for viewing Half Dome. What did I leave off? Be sure to let me know in the comments.